Kanab is a wonderful, but little known, city in Utah. It is a shame that more people aren’t aware of this fantastic area, because it truly does have so much to offer. Not only is the town of Kanab, itself, amazing, it is also an access point for the Grand Staircase Monument. Kanab is located on the south side of the Grand Staircase Monument. It provides a lot of interesting things to do and see, both inside and outside, of the Grand Staircase Monument. Whether you have taken a trip specifically to this area, or you are just passing through, you will not want to miss all that Kanab has to offer. 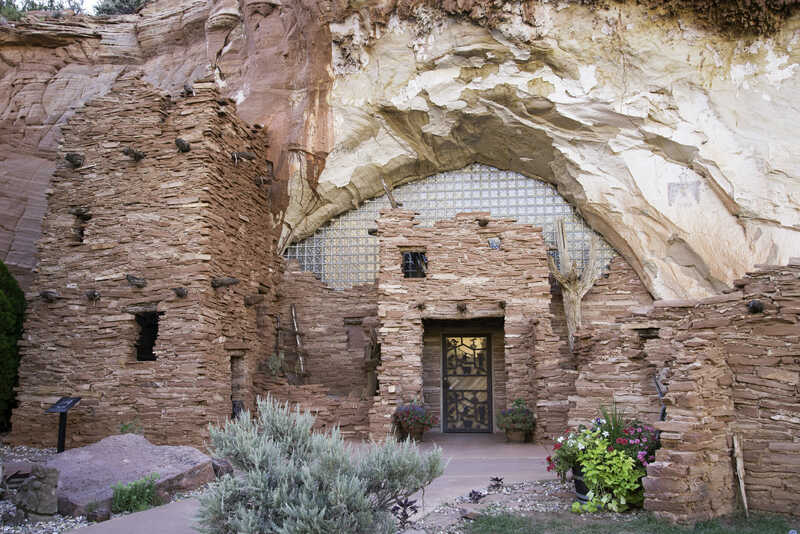 There are tons of different things to do in and around Kanab. The activities available are more than enough to make a weeklong journey out of. In fact, you may find yourself wishing that you had more time. Just when you think you’ve seen all there is to see in the area, you will hear about another site or activity. In order to see all the beauty of Kanab and the surrounding area, you should plan your trip. The following list is a great starting point when deciding what you would like to do while in Kanab. Kanab has been known as “Little Hollywood” for many years. With over 100 movies filmed in the area, this nickname is well earned. Take a tour of the Little Hollywood Museum and see where many movies were filmed. The old, abandoned movie sets are truly fascinating to explore. There is also a gift shop, restaurant, and photography studio in Little Hollywood. Plan on visiting their incredible area and staying for quite a while. The Kanab Heritage Museum is a fantastic historical resource. This museum has a variety of historic artifacts and photographs. This museum is the perfect place to visit if you would like to get a better idea of what make Kanab such a special area. Just outside of Kanab, there is an animal sanctuary, Best Friends Animal Sanctuary, that will touch your soul and restore your faith in humanity. The amazing and caring staff provide a much-needed home for a variety of animals. This sanctuary provides a home for nearly 1,600 homeless animals. You will get the opportunity to interact with dogs, pigs, burros, and more during a tour through Best Friends Animal Sanctuary. Every day of the week, you can take a two-hour tour of this animal sanctuary. You will walk away with a deep appreciation for homeless animals and, maybe, you will leave with a fur friend of your own. The Grand Staircase Monument is one of the most beautiful and underrated areas of Utah. The name ‘monument’ may be deceiving. This massive land area covers over 1.9 million acres. That makes The Grand Staircase Monument larger than the state of Delaware. Throughout this range, there are countless natural wonders. From geological sites to incredible, sweeping views, the Grand Staircase has an amazing amount of beauty across its nearly 2 million acres. Within the monument, there are many places you will not want to miss. Since the area is so large, the list of things to see is nearly endless. However, the following are some sites to see in the southern portion of the Grand Staircase, near Kanab. The popularity of this beautiful formation makes it incredibly difficult to visit. If you are lucky enough to get a hiking permit for The Wave, it will be an adventure you will never forget. Walking along the multicolored rock formation will make you feel as though you have been transported to another world. If there’s one thing that you cannot miss while in Kanab and the surrounding areas, The Wave is it. If you love taking long, scenic drives, Cottonwood Canyon Road is the perfect activity. This road stretches nearly 50 miles through Grand Staircase and has tons of beautiful stop-off points. Most cars can make this drive easily, but sometimes you may encounter rough terrain. If you would like to see a lot of this scenic area in a short amount of time, you’ll love Cottonwood Canyon Road. Go way, way back in time and walk the paths of the dinosaurs. After obtaining your hiking permit, you can walk along a Jurassic trample path. Also, you will see some of the most breathtaking rock formations in the area. With multicolored rock layers and towering formations throughout, Coyote Buttes offer endless photo opportunities. Buckskin Gulch is nothing short of a canyon-lovers dream. With relatively easy access from many points, there’s no good reason to miss this incredible feature. Buckskin Gulch is the longest, deepest slot canyon in the southwestern United States. You’ll have a hard time finding a more impressive place to visit. The experiences and memories you will take away from Kanab are unlike any other. This area has so much to offer, and it is packed into a small location. It doesn’t matter if you are an outdoor enthusiast or prefer to stick to the indoors, you will find many things to do in Kanab and the surrounding towns. To get started on your journey to Kanab, check out the lodging options and decide what activities you would like to partake in. No matter which season you will be traveling to the area, it is the perfect time to experience Kanab. Don’t miss out on this breathtaking, once-in-a-lifetime adventure. Make Kanab your next destination.